We now have over one-hundred studio locations in North America. It is because of people and families like yourself, who desire the benefits of the Martial Arts, that we can continue to practice and sustain our chosen way of life. We appreciate you, and will do the best job in delivering these benefits through our proven system and methods. Here are just some of the benefits and advantages you can expect from training at United Studios of Self Defense. Shaolin Kenpo is Chinese Martial Art that encompasses Karate, Kung Fu, JuJitsu and elements from other forms/styles. 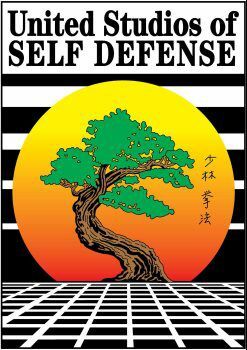 It is our belief that our Kenpo Martial Arts Training Program is highly developed and effective. Our Black Belt Instructors, in addition to having passed through all of our Martial Arts training, must also attend our Instructor's College to become a certified Chief Instructor. We offer karate classes for kids, teens and adults, beginning, intermediate and advanced martial arts instruction, special self defense classes for women, kids birthday parties.